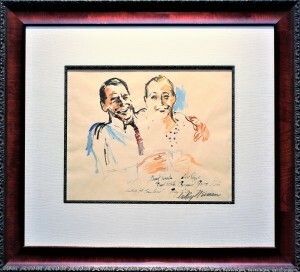 This original watercolor painting portrays “Ol’ Blue Eyes”, Frank Sinatra and his close friend Jilly Rizzo enjoying life on the set of ‘Tony Rome’ in 1967. 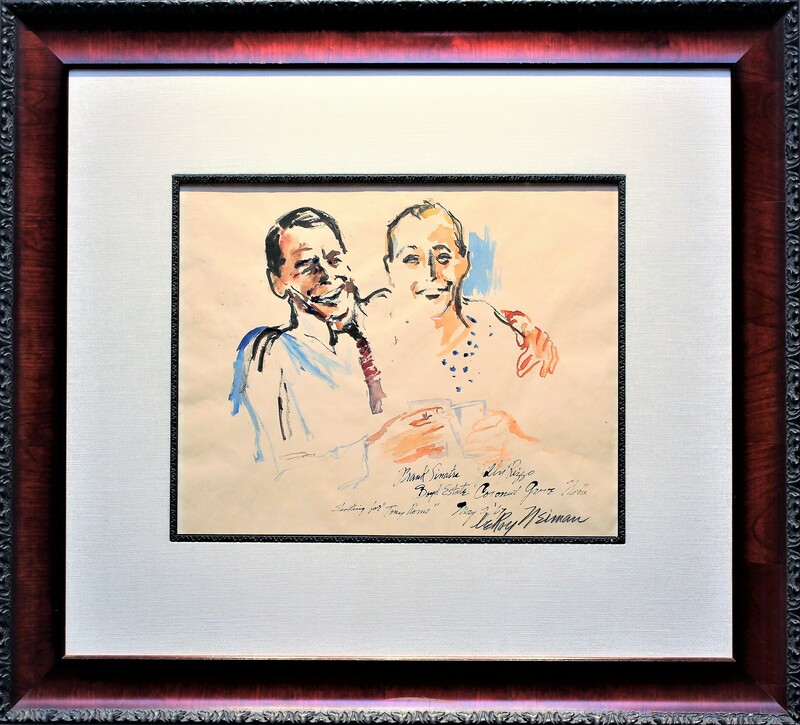 LeRoy Neiman signed & inscribed the piece “Frank Sinatra/Jilly Rizzo/Boyd Estate Coconut Grove, Florida/Shooting for ‘Tony Rome’ May 2 ’67”. Rizzo and Sinatra were like brothers, they’ve known each other for more than 30 years. He was an integral part of Frank Sinatra’s life. Sadly to say Jilly was killed in a automobile accident just hours before his 75th birthday party that was hosted at his house. The tragic event left Sinatra devastated from the loss of his great friend. 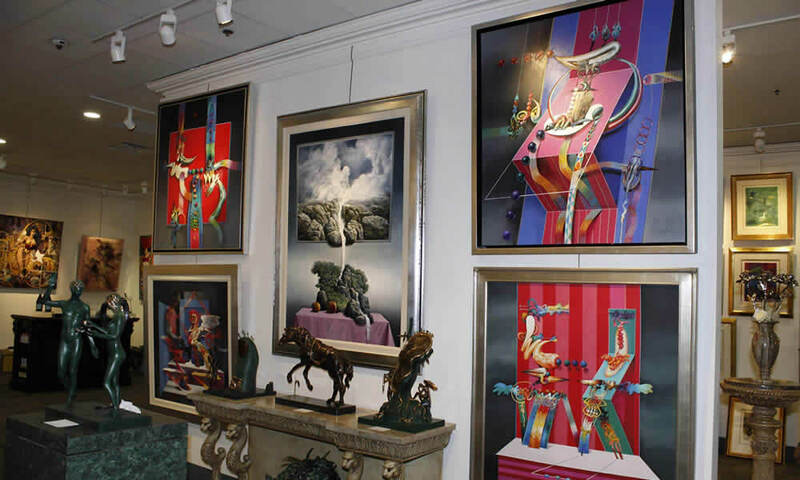 With the artistic greatness of LeRoy Neiman, their bond will live on in paint forever.